Lance Keimig, "Sand Pit," 2016. This image could have been made 30 years ago when I started photographing at night, but it was shot a year ago, in October of 2016. Recently Chris and I were chatting about how various aspects of night photography have changed with the advances in technology, and how others haven’t. It was a lively conversation, and he suggested that I write a blog post on the subject. I thought it was a great idea, especially as it would allow me to talk about my favorite subject: historic night photographers! 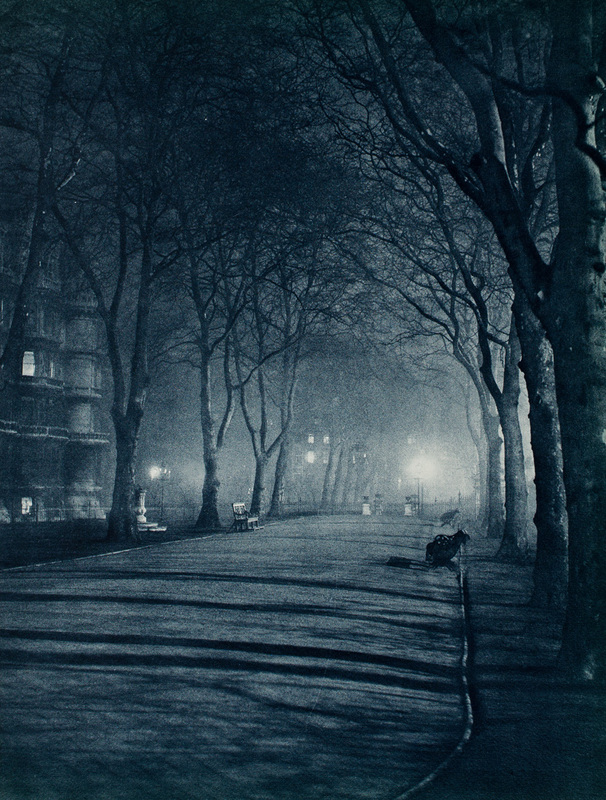 One of my favorite early night photography stories is about the English photographer Paul Martin, who began photographing at night in earnest in 1895. 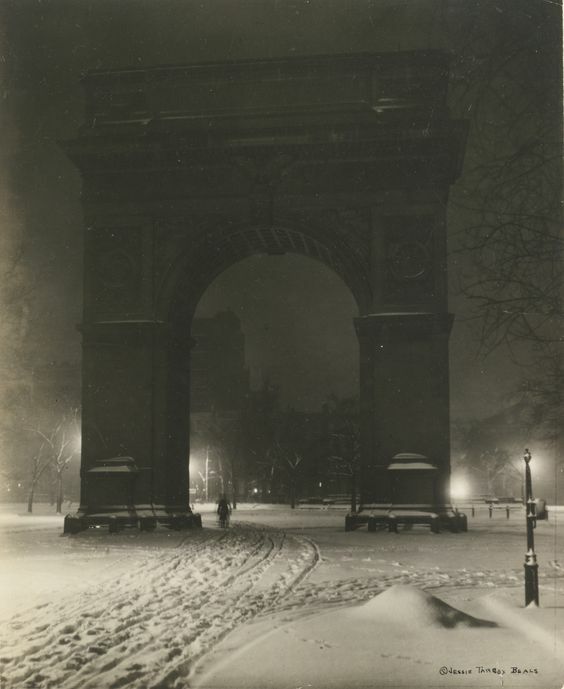 Others had made the occasional foray into night photography before him, but it was Martin who really set the wheels in motion, and whose work caught the attention of Alfred Stieglitz and his colleagues at the Camera Club of New York. 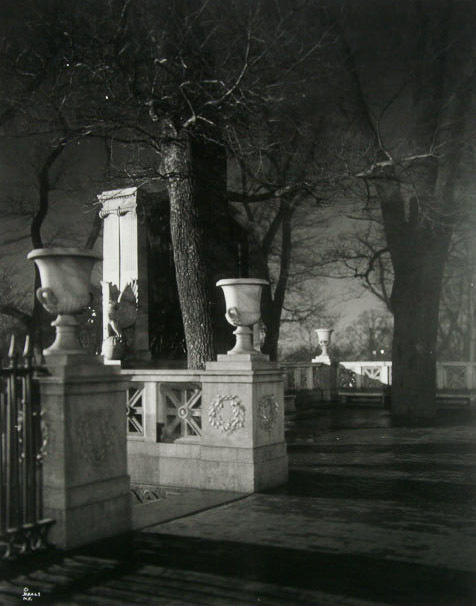 Martin wrote in his 1939 autobiography, Victorian Snapshots, that at one point he had decided to continue to photograph in darkening conditions after the sun went down, making longer and longer exposures and altering his development to get the best results. 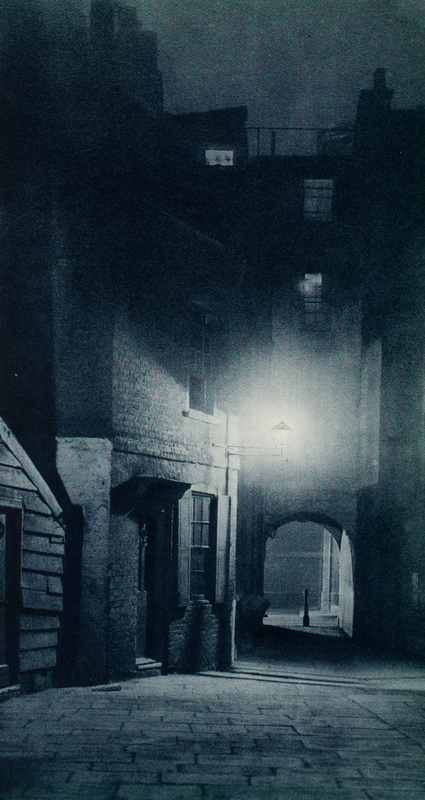 Eventually these early night images were published as the book London by Gaslight. Like with most pioneers or innovators, the general public seemed to think Martin was crazy. People approached to tell him that it wasn’t possible to take pictures in the dark, and that he should go home to his wife, or maybe back to the asylum! On more than one occasion he was accosted by the “bobbies,” who questioned his motives. These are experiences shared by almost anyone who has been photographing at night for more than a few years. Though, for better or worse, night photography has become so commonplace today that unless you find yourself on the wrong side of a fence, you rarely have to explain your motives to the police or anyone else. 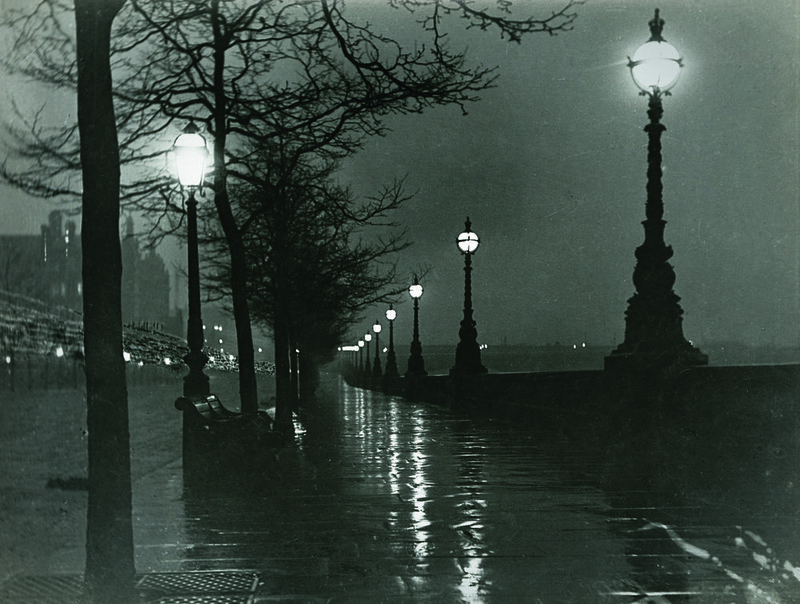 Paul Martin, "A wet night on the embankment," 1895. 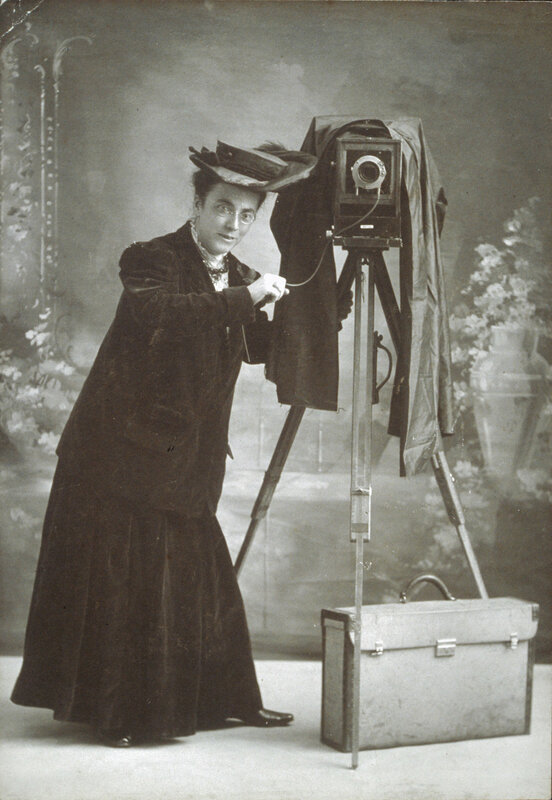 Martin covered his camera lens during the exposure to shield it from a curious policeman’s lantern. Back in the 1890s, police carried kerosene lanterns with them on their beats, because flashlights (or what the British call “torches”) hadn’t been invented yet. On more than one occasion, Martin had a long exposure ruined when a policeman walked in front of his camera and raised a lantern to get a better look at the photographer and his gear. 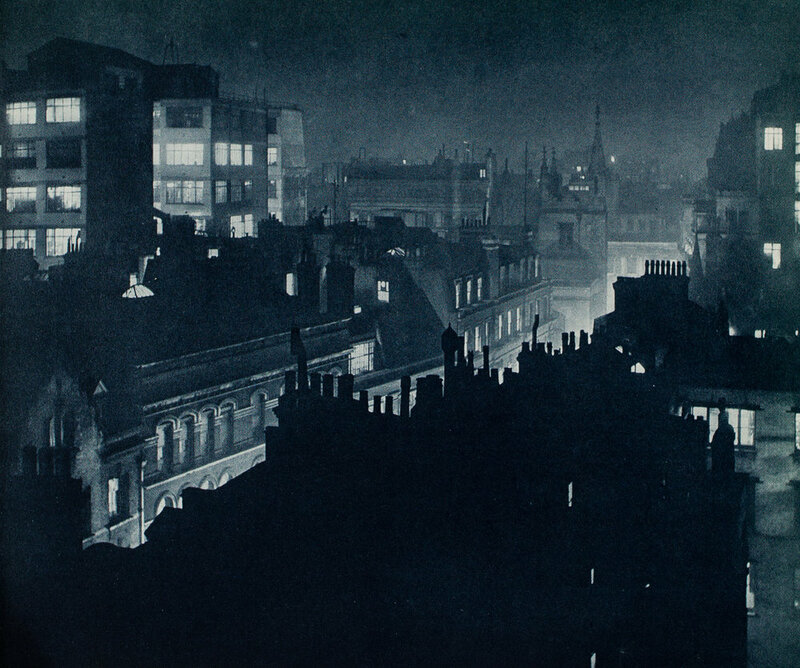 (Remember that in those days, street lights were dimmer, and far fewer in number, so the nighttime environment was considerably darker in London than it is today.) Eventually Martin was able to anticipate and react to impending disaster by removing his hat and placing it over the lens until the policeman’s curiosity was satisfied! New Jersey Photographer Laureate George Tice’s best-known image is the remarkable “Petit’s Mobile Station, Cherry Hill, NJ, 1974.” Tice told me some years ago that the 2-minute exposure on 8x10-inch film actually required about 10 minutes to make because he had to cover the lens whenever cars passed in front of the camera. He would get only 10 or 15 seconds of exposure on the film before a car pulled into the station or passed on the road on the left side of the image. Each and every time, he covered the lens. George Tice, "Petit’s Mobil Station, Cherry Hill, NJ, 1974." 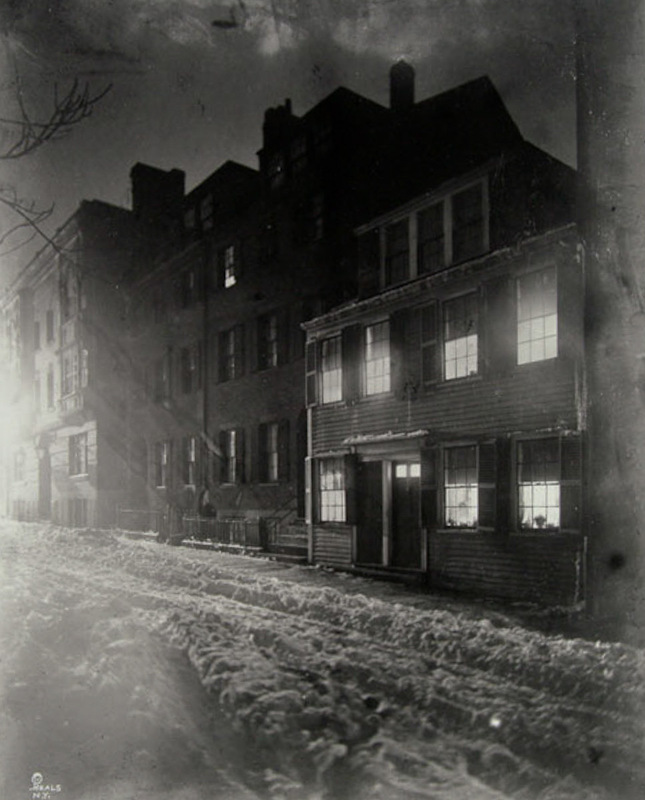 Tice’s best-known image was a 2-minute exposure on 8x10 film that took 10 minutes to expose because the photographer had to repeatedly cover his lens due to cars passing through the scene. No doubt many of us have employed this same device used by Martin and Tice to prevent an unwanted car or plane trail in our compositions; it’s something I’ve done for decades in my own images. Some things never change. 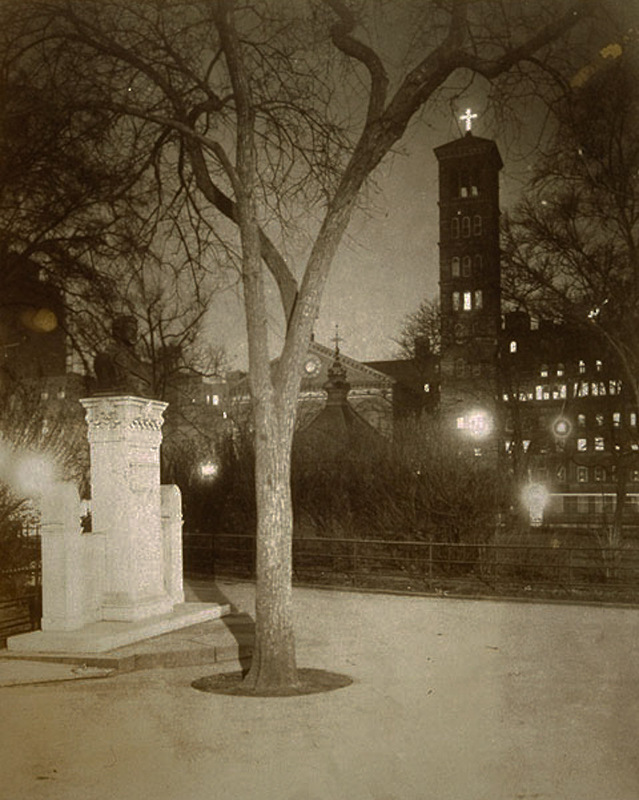 Many of the changes in night photography since digital replaced film are obvious. The ability to “chimp” is a good example. Night photography has become far more accessible because of the instant feedback we get from the image preview, the blinking highlights and the histogram. 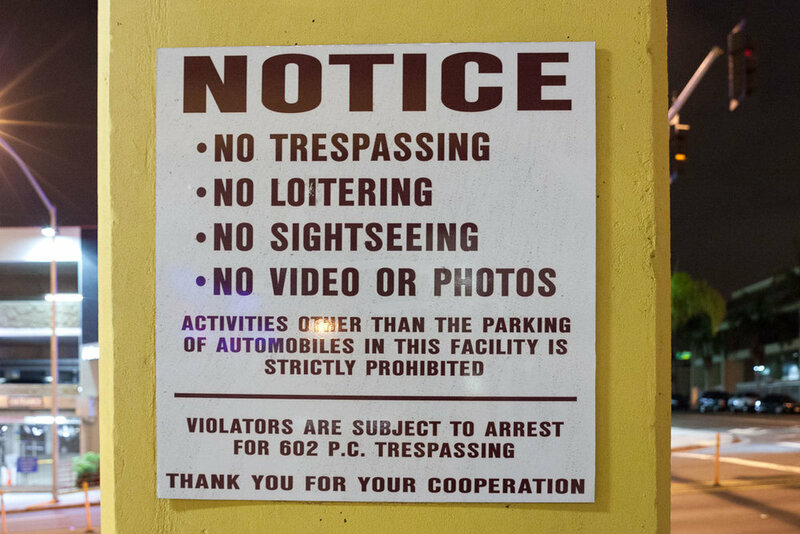 Other related changes are less obvious unless you have had the experience of shooting at night with film. There is certainly a great satisfaction in knowing that you’ve “got the shot,” but what is lost is the sense of anticipation that comes from not knowing until you unwind the wet film from the reel in the darkroom. The combination of low sensitivity and reciprocity failure meant that night photographers shooting film were lucky to make 10 or 15 exposures per night, and without the ability to review images in the field, we generally took a slow and methodical approach to our work. When considering variations for exposure uncertainty and complex light painting, a good night meant one or two “keepers.” Working so deliberately usually leads to a higher success rate, and that’s one aspect of my field workflow that I have maintained as much as possible over the years. Still, there have been nights in the digital age when I’ve made over 100 exposures––quite a lot for a night photographer. I have already alluded to one of the other changes I’ve noticed over the course of my career. Back in the 1990s, I would be questioned all of the time by passers-by wondering what I could be photographing in the dark. Non-photographers would say things like, “There isn’t any light, how can you take a picture?” or “Are you a ghost hunter?” or “There’s nothing there, why are you photographing that old building?” Sometimes I still get those questions, and if the person seems genuinely interested, at least now I can show them the back of the camera. That leads to another change worth noting. I used to carry a small selection of prints in my camera bag to show to the police or security guards who invariably caught me on the wrong side of the fence. More than once, being able to show a print or two along with a business card eased the concern of the authorities and kept me from being arrested, or at least from being detained. They could somehow understand that an “artist” with a camera was not a threat. In the jittery years following 9/11, that was a real concern. Although to my knowledge there has never been a terrorism event that involved photography, somehow night photographers have often been suspected of bad intent. Balboa Park. It looks like they mean it. We all know how much technology has changed the way we work. Our cameras have improved to the point where almost any can record sharp images of the Milky Way, whereas cameras used to be limited to long exposures and star trails. Moreover, lenses are sharper, batteries last longer, tripods are lighter and flashlights are brighter. Until very recently, one incredibly frustrating camera feature remained stubbornly stuck at 30 seconds: the shutter speed dial! Over the years, I’ve spoken with numerous camera company reps about why their camera’s shutter speeds don’t go any longer than 30 seconds, and unfailingly I’d get the same answer: “Why would you need to expose for longer than 30 seconds? You could just raise the ISO.” Despite the relative ease and lack of engineering required to enable longer shutter speeds, it wasn’t until the Nikon D750 that we even had a Time setting at our disposal. Many recent cameras have built-in intervalometers, but again with exposures limited to 30 seconds. Finally, with the release of the Canon 5D Mark IV and 6D Mark II, we have DSLRs with programmable shutter speeds that extend exposures not just to minutes, but as long as 99 hours! Hopefully other manufacturers will follow suit with their future models. Mixed lighting was always the bane of architectural photographers, especially when natural color rendering was important. For night photographers, it’s often that same mixed lighting that attracts us to a scene in the first place. The early work of photographer Jan Staller was a major influence on me, and his technique of printing to correct for one light source while allowing the others to do what they would created some of the most surreal images I had ever seen. Lance Keimig, "Mixed Lighting Examples," 1995. 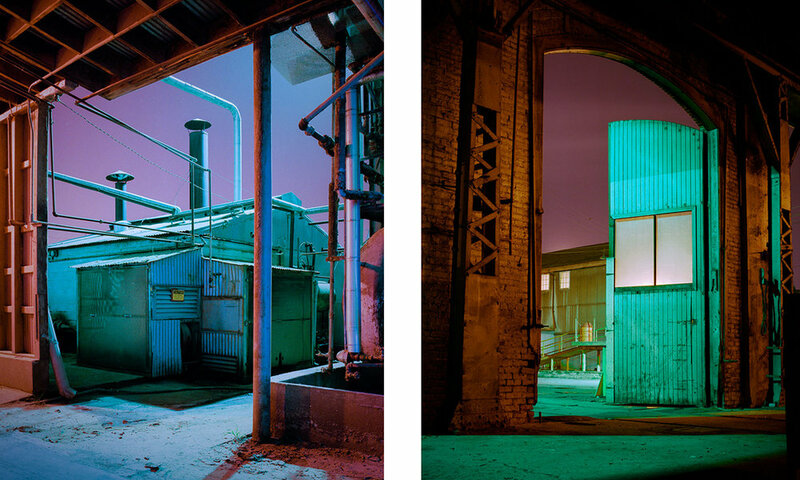 These two images were shot on Fuji color negative film in 1995 under a combination of sodium and mercury vapor lights. There is no right or wrong white balance here–– whatever looks right to the photographer, is right. The incredible control we have over color in our pictures, and the flexibility to set white balance after the image has been captured, both give today’s photographer a flexibility that was inconceivable only 20 years ago. Back then, if you couldn’t control the light sources, you either shot black and white or accepted the crazy colors as they were recorded. One thing that hasn’t changed—and will never change—are the principles of composition and design. A good photograph will always be a good photograph, and a crummy one will always be a crummy one regardless of the technology that was used to create it. For that, we can sleep well in the morning. Lance Keimig, Stromness, 2008. Shot on Fuji Neon Across 120 film with an Ebony 23SW view camera and Nikkor 65mm f/4 lens. 10 minutes, f11. 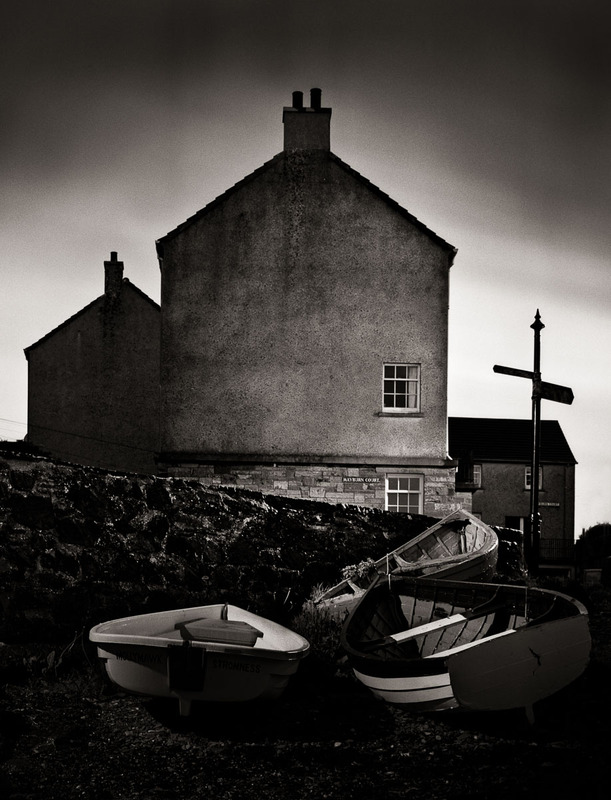 This image was made in the tiny fishing village of Stromness on Orkney in northern Scotland. It was the house of the poet George Mackay Brown. The technology doesn’t matter, the image works because of the combination of vision and craft.